How we breathe is an integral part to overall well-being, it can affect energy levels, immune systems, quality of sleep and even digestion. 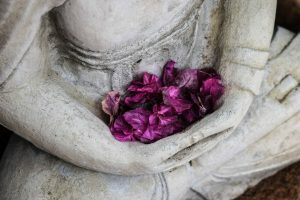 Breathe Better Myofunctional Therapy, is a new business started by orofacial myologist Annie Denning, BS, RDH, whose mission is to help people of all ages breathe better. 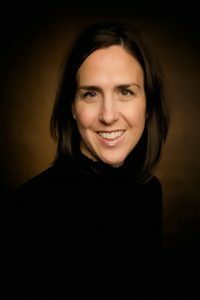 In Denning’s research she discovered that many myofunctional therapists are also dental hygienists. “Myofunctional therapy is a series of exercises that help with neuromuscular repatterning of the orofacial structures so that people can have lip closure, nasal breathing, correct tongue posture and swallowing all the time,” explains Denning. Typically, people who have issues with any of these things have myofunctional disorders. Denning explains that these disorders can cause things like reflux, digestive issues, unresolved speech issues, craniofacial malformations contributing to a long narrow face, crowding of the teeth, a jaw that is set back and not in line with the upper jaw, and breathing issues, which can lead to the development of things like snoring and sleep apnea. After her son began therapy, Denning waited several months before finally deciding to enroll in an online post-graduate program for myofunctional therapy. 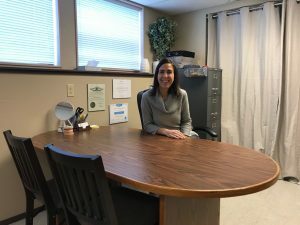 After completing the program and taking several other courses, Denning took the next step and opened up her own practice currently located within Gundersen Dental Care. At the center of myofunctional therapy lies the tongue. “The tongue is like a natural retainer for the palate,” Denning shares. “There’s this perfect balance between the tongue, cheeks, and lips to keep the teeth in alignment.” Myofunctional therapists work to bring all components of the mouth into alignment through a variety of passive exercises, like holding something on the tongue while doing other things and active exercises like looking in the mirror while making different shapes and positions with all components of the mouth. There are many benefits to seeing a myofunctional therapist. 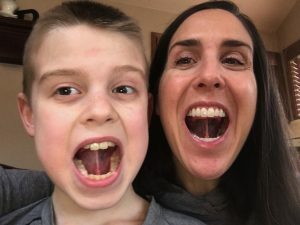 “A benefit for a child would be craniofacial development, creating space for the airway and giving that child the optimal craniofacial structures so that they can breathe and avoid things like sleep apnea,” explains Denning. Other benefits include maintaining and stabilizing changes that occur from orthodontia, helping with unresolved speech issues alongside a speech pathologist; reducing the number of apneic events a night; proper swallowing, which can relieve digestive issues; and myofunctional therapy can occasionally help people with TMJ if they have a low tongue posture. Treatment of these issues is in collaboration with orthodontists, dentists, sleep specialists, speech pathologists, craniosacral therapists, allergists, ENTs, as well as other medical professionals. Myofunctional therapists can also help evaluate babies who are having trouble breastfeeding. Denning explains that if there is any kind of restriction in the tongue or a vaulted palate when a baby is born then they may have a hard time latching. If babies who have tongue restrictions get missed, they could end up being mouth breathers which can lead to other issues like digestive problems. Catching myofunctional disorders early on is key to prevent other issues, like sleep apnea, from developing. Denning plans to take further coursework in order to work with babies. Breathe Better Myofunctional Therapy is officially open and accepting new patients. Denning is providing free patient evaluations and offering a discounted fee for the first few patients who sign up for therapy.